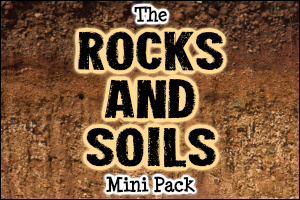 Explore the rivers of the world with our fantastic mini pack! 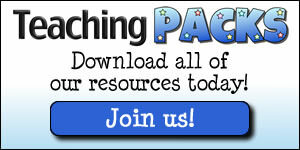 This includes a full topic guide, glossary of related terms, activity resources and classroom display materials! A Ten Page Rivers Guide – A comprehensive guide to rivers. Includes information about the parts of a river, river sources, erosion and deposition, settlements near rivers, pollution, leisure uses and more! One Rivers Glossary – A list of words linked to rivers and their definitions. Use this as a reference resource in your classroom or ask your children to make an illustrated dictionary based on the terms included. Nine Pages of Rivers Vocabulary Labels – A set of labels with words, images and definitions. These could be used on a classroom display board, for sorting / grouping activities or during class / group discussion work. Three River Features Resources – A poster that shows some of the features of a river. Also available as a ‘fill in the blanks’ resource and a labelling activity. A Twenty Page Rivers Image Pack – A huge set of high quality images that you can use to show children the features and uses of rivers. Perfect for use during classroom discussions or as part of your display boards. Thirty ‘River Facts’ Posters – Posters with facts, statistics and information about a range of large and small rivers around the world. These differentiated resources are a great starting point for discussion / comparison and could also be used for statistics activities. One Set of Rivers Follow Me Cards – A set of thirty-two cards that each include a question and an answer. Can your class match the questions to the correct answers? This resource can be used as a whole class activity or as an independent / group challenge. One ‘River Lists’ Resource – Challenge your children to use their knowledge of rivers to complete these lists. How many river features can they name? How many famous rivers do they know? This could be used as an assessment resource at the beginning and / or end of your topic. One Rivers Banner – A display banner to use as part of your rivers topic! 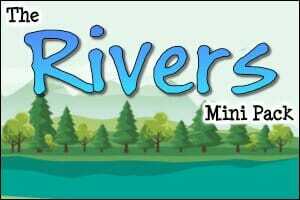 Watch the video below to view samples of resources from the Rivers Mini Pack. This pack was perfect as a foundation for my fifth grade intermediate EAL students. The colourful photographs and diagrams caught their attention and just enough information on each page meant they never felt overwhelmed. One general suggestion I have for all such packs would be to include a list of suggestions for supplementary books and further reading. It would help to have both fiction and information titles in order to stretch and differentiate within the classroom. Please keep the fantastic materials coming! Hi Anj. Thanks for your review. I have just corrected this typo! As usual a great resource from Teaching Packs. The pack has enough information to guide the children when producing work about rivers. I've used the information alongside other resources and it has really complemented the children's work in allowing them to easily access facts that they may otherwise have to spend time on the internet or researching in books. 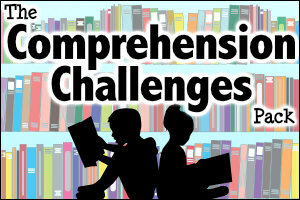 The level is set appropriately for my year 4 children and challenges them in parts with things such as new vocabulary. Great information - Thanks! One of the things I appreciate about Teaching Packs is their thoroughness in each pack. In looking at the River pack, for example, you will find well laid out pages with a combination of real picture images combined with computer-generated illustrations. My teacher training is in the Montessori teaching system. For example, Montessori uses nomenclature cards. They are best described as a picture with a word description. The student then matches up each word with each picture. Each river example has a picture with several attributes associated with it. In this Pack, there are 15 famous rivers from around the world. Using the Montessori Method, of cutting up the descriptions and separating them from the pictures, students mix and match until they have recreated each picture with all the correct attributes. Using the originals sheets, students can self-check their work. I know each student will have a thorough knowledge of rivers when they have completed this unit. Because I teach in missionary schools, supplies are thin. Teaching Packs covers a wide variety of subjects to keep the students interested. I use Teaching Packs to set up workstations throughout the classroom to keep students engaged in the learning process. Each month the workstation get changed to keep the students interested in the learning process. This mini-pack contains vibrant and detailed illustrations very appealing to young (and older) eyes.Students love looking at the word wall options and matching meanings to the illustrations. There is a choice of individual, partner and small group options to cater for learning styles and preferences. Great package thank you! We study river civilizations. I am so excited about this mini-pack! 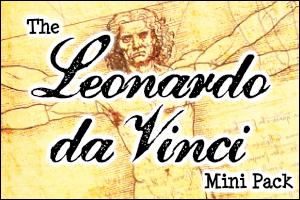 This pack takes our information source to a deeper level and once again, the graphics are vivid and interesting to the students.